Living Learning Communities exist at TAMU to connect the residential experience to academic programs and departments, as well as to create smaller communities within a large residential campus community. Living Learning Communities are a part of the Residence Education sub‐unit of the Department of Residence Life within the Division of Student Affairs. Texas A&M University participated in the 2010 National Study of Living Learning Programs funded by a grant from Student Life Studies. This document will serve as an executive summary of the full school report provided by the Center for Student Studies (organization that administered the study). 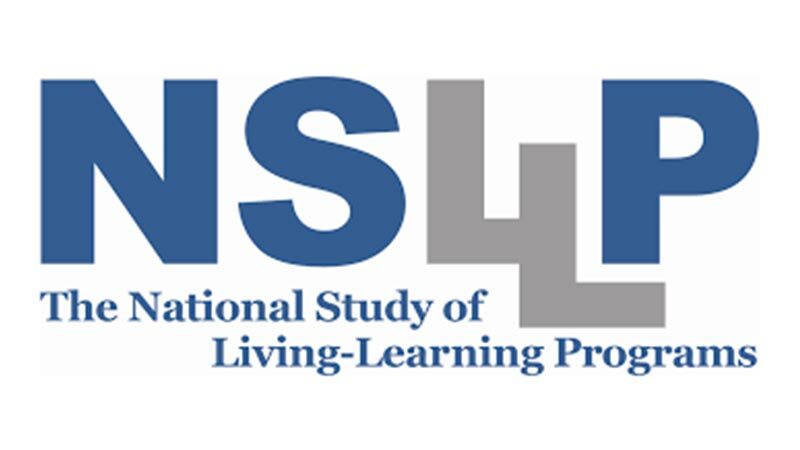 The purpose of the National Study of Living Learning Programs (NSLLP) is to assess how participation in college and university living‐learning programs shapes the academic, social, and developmental outcomes for students. It fills an empirical void for national, multi‐campus data relating positive student outcomes to specific institutional factors, such as the mission, culture, policies, and program offerings. Residents will discuss curricular ideas and issues with students in their living learning community. Students in living learning communities will report greater ease of transition to college life than their peers in other residence halls. Students in living learning communities will report more interaction with faculty than their peers in other residence halls. Students in living learning communities will report a more supportive residence hall environment both academically and socially than their peers in other residence halls. Students in living learning communities will report a greater sense of belonging than their peers in other residence halls. Students in living learning communities will report a higher level of academic and professional confidence than their peers in other residence halls. Students in living learning communities did report greater ease of transition to college life than their peers in other residence halls. Transition to college: Ease with academic transition to college: LLC sample reported 3.79 and the control reported 3.49. A statistically significant difference (p <.05). Ease with social transition to college: LLC sample reported 4.31 and the control reported 3.96. A statistically significant difference (p <.05). Students in living learning communities did not report more interaction with faculty than their peers in other residence halls. Faculty interactions: Course related faculty interaction: LLC sample at 1.89 times a week compared to the control sample at 1.78 times a week. Not a statistically significant difference. Faculty mentorship: LLC sample at 1.34 times a week compared to the control sample at 1.37 times a week. Not a statistically significant difference. Students in living learning communities did report a more supportive residence hall environment both academically and socially than their peers in other residence halls. Residence hall climate: Residence hall climate is academically supportive: LLC sample reported 2.98 and the control reported 2.37. A statistically significant difference (p <.05). Residence hall climate is socially supportive: LLC sample reported 3.16 and the control reported 2.63. A statistically significant difference (p <.05). Students in living learning communities did report a greater sense of belonging than their peers in other residence halls. Students in living learning communities did report a higher level of academic and professional confidence than their peers in other residence halls. College/Professional Confidence: Confidence in college success: LLC sample reported 3.54 and the control reported 3.27. A statistically significant difference (p <.05). Professional self‐confidence: LLC sample reported 3.69 and the control reported 3.48. A statistically significant difference (p <.05). Confidence in College Courses: Math Courses: LLC sample reported 3.91 and the control reported 3.55. A statistically significant difference (p <.05). Science Courses: LLC sample reported 3.90 and the control reported 3.46. A statistically significant difference (p <.05). English Courses: LLC sample reported 3.87 and the control reported 3.62.A statistically significant difference (p <.05). Engineering Courses: LLC sample reported 3.54 and the control reported 2.98. A statistically significant difference (p <.05). Writing Courses: LLC sample reported 3.72 and the control reported 3.40. A statistically significant difference (p <.05). Social Science Courses: LLC sample reported 3.95 and the control reported 3.65. A statistically significant difference (p <.05). Confidence in Skills and Abilities: Confidence in academic skills: LLC sample reported 2.89 and the control reported 2.72. A statistically significant difference (p <.05). Confidence in math ability: LLC sample reported 2.99 and the control reported 2.74. A statistically significant difference (p <.05). Confidence in working independently: LLC sample reported 3.46 and the control reported 3.23. A statistically significant difference (p <.05). Confidence in working as a part of a team: LLC sample reported 3.16 and the control reported 2.93. A statistically significant difference (p <.05). Confidence in test‐taking skills: LLC sample reported 3.04 and the control reported 2.79. A statistically significant difference (p <.05). Peer interactions: Discussed academic and career issues with peers: LLC sample at 3.37 times a week compared to the control sample at 3.23 times a week. Not a statistically significant difference. Peer interactions: Discussed socio‐cultural issues with peers: LLC sample at 2.51 times a week compared to the control sample at 2.40 times a week. Not a statistically significant difference. The living learning sample reported significantly higher grades in high school. LLC sample reported 70.11% with A+ or A average, while control sample reported 53.27% with an A+ or A average. The same is also true for SAT critical reading, math and writing comprehensive scores with LLC sample reporting 48.80% with a score of 2010 or higher and the control sample reporting 15.16% with a score of 2010 or higher. ACT scores follow the same tend. I imagine this is due to the significant number of honors students in our living learning communities at Texas A&M; however, this does differ from national LLC and control samples. In terms of alcohol use, the 66.02% of the LLC sample reported that they “don’t drink alcohol and never have”, while only 49.51% of the control sample reported the same. Also, of the LLC sample, only 13.77% reported starting to drink in college or drinking more in college, while 21.76% of the control sample reported starting to drink in college or drinking more in college. The LLC group also reports significantly less binge drinking than the control group. The NSLLP was able to collect reportable information from the following living learning communities to compare with other similar living learning communities: Leadership,Engineering, Honors, and First‐Year Aggies. Unfortunately, the other communities’ response rates (and size of community) were too small to report out or there was not a similar typology for the community to be compared too. Leadership Living Learning Community (n=24), Leadership Living Learning Community (L3C) sample reported the environment to be socially supportive (3.36 out of 4.0, p <.05), compared to other similar programs. L3C sample reported the influence of residence hall staff and faculty to be greatly encouraging in pursuit of a major (4.14 out of 5.0, p <.05), compared to other similar programs. L3C sample reported ease to the social transition to college (5.06 of 6.0, p<.05), compared to other similar programs. Compared to similar programs, the Engineering Living Learning Community (ELLC) sample reported significantly less use of residence hall resources including use of co‐curricular residence hall resources (1.26 of 4.0, p<.05), use of academic advisors 1.75 of 4.0, p<.05), interactions with professors (1.47 of 4.0, p<.05), and attendance to seminars and lectures (1.30 of 4.0, p<.05). ELLC sample reports less of an ease with social transition to college (4.04 of 6.0, p<.05). ELLC sample reported a greater sense of civic engagement (3.05 of 4.0, p<.05), compare to other similar programs. 62.45% of the ELLC sample reported “don’t drink alcohol and never have”, statistically more than other similar programs (p<.05). Also, only 3.85% of ELLC sample reported “drinking more in college”, also significantly less than other similar programs (p<.05). 12.18% of the ELLC sample reported starting to drink in college, while less than other similar programs it is not statistically significant. ELLC sample reported a greater overall sense of belonging (3.53 of 4.0, p<.05), compared to other similar programs. Honors Housing Community (n=132) Honors Housing Community (HHC) sample reported less faculty mentorship (1.32 of 4.0, p<.05), compared to other similar programs. HHC sample reported less interaction with professors (1.33 of 4.0, p<.05), compared to other similar programs. HHC sample reported a residence hall environment that is more academically supportive (3.23 of 4.0, p<.05), compared to other similar programs. HHC sample reported a residence hall environment that is more socially supportive (3.40 of 4.0, p<.05), compared to other similar programs. HHC sample reported more positive peer diversity interactions (2.74 of 4.0, p<.05), compared to other similar programs. In terms of hand‐on learning experiences, the HHC sample reported more experiences with attending presentation by professional in intended field (2.32 of 4.0, p<.05), compared to other similar programs. Engineering (3.74 of 5.0, p<.05). HHC sample reported greater confidence in test‐taking skills (3.38 of 4.0, p<.05), compared to other similar programs. 75.01% of the HHC sample reported “don’t drink alcohol and never have”, significantly less compared to other similar programs (p<.05). 10.41% of the HHC sample reported “Started drinking in college”, significantly less compared to other similar programs (p<.05). 4.02% of the HHC sample reported “drinking more in college” significantly less compared to other similar programs (p<.05). 5.69% of the HHC sample reported “no change” in alcohol use, significantly less compared to other similar programs (p<.05). 77.66% of the HHC sample reported no binge drinking in the last two weeks, significantly less compared to other similar programs (p<.05). HHC sample reported a greater overall sense of belonging (3.58 of 4.0, p<.05), compared to other similar programs. First Year Aggies (n=31)  The First Year Aggies (FYA) sample reported less course‐related faculty interaction (1.55 of 4.0, p<.05) and less faculty mentorship (1.13 of 4.0, p<.05) compared to other similar programs. interactions with professors (1.27 of 4.0, p<.05), and attendance to seminars and lectures (1.14 of 4.0, p<.05). FYA sample reported higher professional self‐confidence (3.78 of 4.0, p<.05) compared to other similar programs. FYA sample reported receiving less career counseling (1.29 of 4.0, p<.05) compared to other similar programs. 52.45% of the FYA sample reported “don’t drink alcohol and never have”, significantly more than their peers in other similar programs. FYA sample reported a higher overall sense of belonging (3.47 of 4.0, p<.05) compared to other similar programs. While each community can learn from this information and apply it to the specific goals and outcomes of the individual community; overall, the living learning communities on the whole are providing the anticipated benefits to the students that participated in this survey. In the future, the overall living learning program should continue to explore opportunities for faculty involvement. Since this survey was administered in spring 2010, we have increased intentional in faculty involvement in the Engineering Living Learning Community and continue to explore was to improve that involvement for the faculty, staff, and residents. We need to explore this involvement into other communities.